Evolve's having these Weekend Challenges consistently and that's a great thing! And they have more this week.. The Lazarus Vs Kraken Challenge! 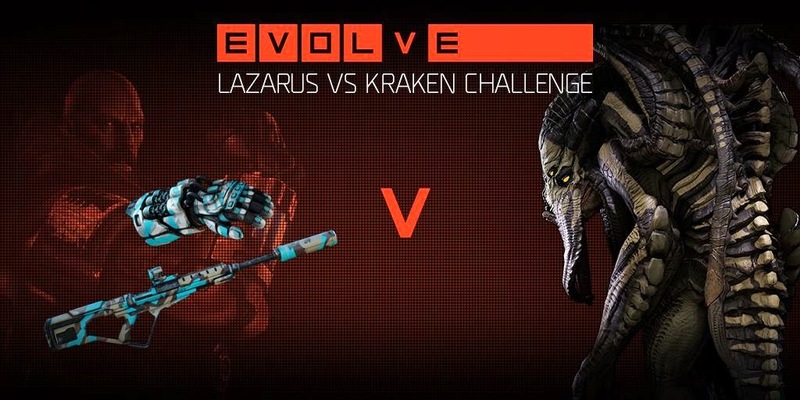 "This weekend, between 12:01 AM ET on Friday, May 8 and 12:01 AM ET on Monday, May 11, all games with Lazarus and Kraken in the lineup, count towards the challenge, with a free skin for the character with the higher versus win percentage. If Lazarus earns the higher win percentage the community scores the Lazarus Predator skin shown above absolutely free. If Kraken earns the higher win percentage, the community earns the Kraken Voodoo skin, also shown above absolutely free." I'm for Team Kraken! Hopefully this will complete the trio of Voodoo skins for the Monsters..
A bit rusty on the Kraken, but hopefully I can get some wins in for the Kraken this weekend. I'm also getting a few friends back on this game so looking for more team members to play with. 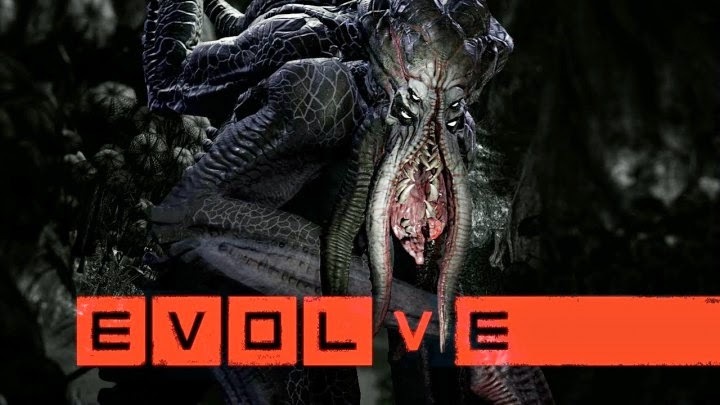 For those playing the Evolve: Hunters' Quest Mobile game, there's no challenge this weekend but instead, there's going to be increased crate drops. Good time to pick up any missing bones for the different badges. Also, if you are actively collection the different skins in the game, I put up a small database of the different skins available in the skin, including all the Challenge event ones. Helps me keep track of all the different skins available and which I'm still missing.. Hopefully, it will be useful for you guys as much as it is for me.